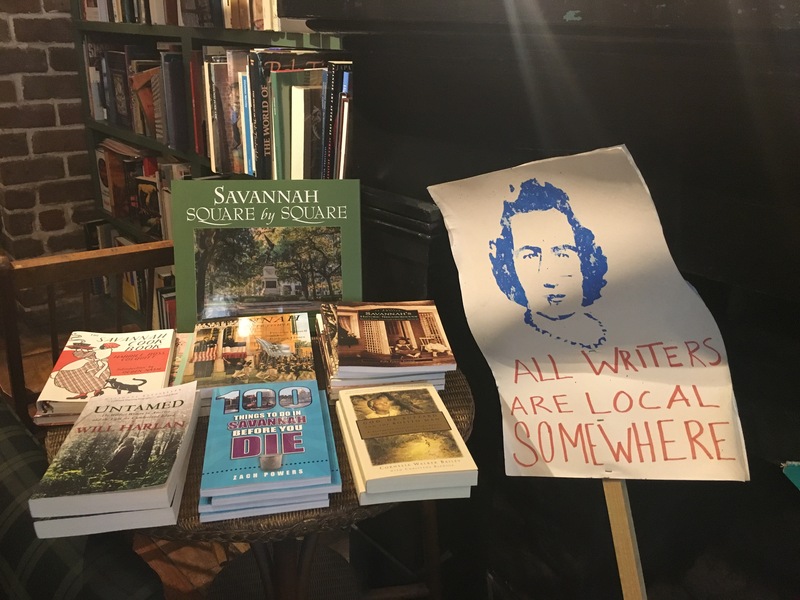 I recently got back from a lovely trip to Savannah, GA, and just had to share about the two indie bookstores I went to there. 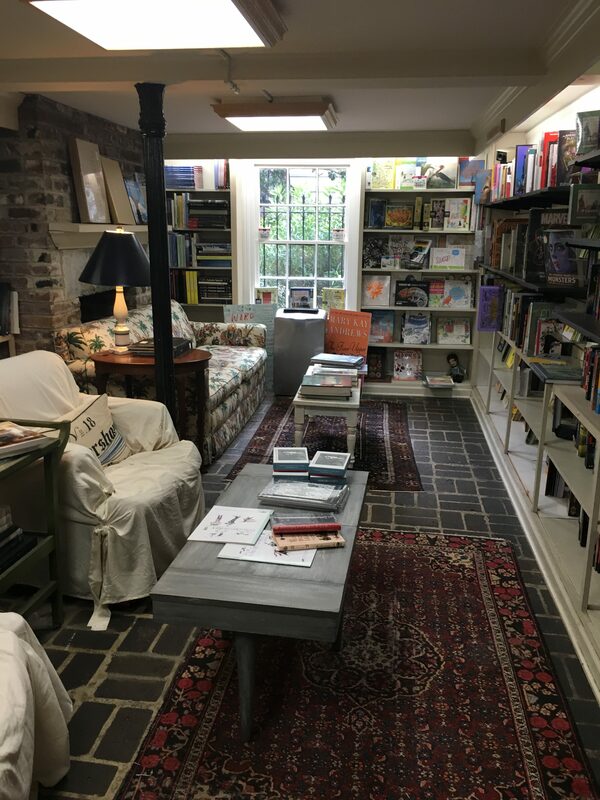 Imagine a large library collection in an old house that spills over onto the floor and into multiple rooms, and you’ll have an idea of what The Book Lady feels like. There’s a mix of used gems and new books, as well as a small (secured) section of rare and special books. When my husband saw a hardback copy of Jumanji and wondered out loud what made it special or rare, the guy at the store unlocked the case and showed us the author’s signature inside. 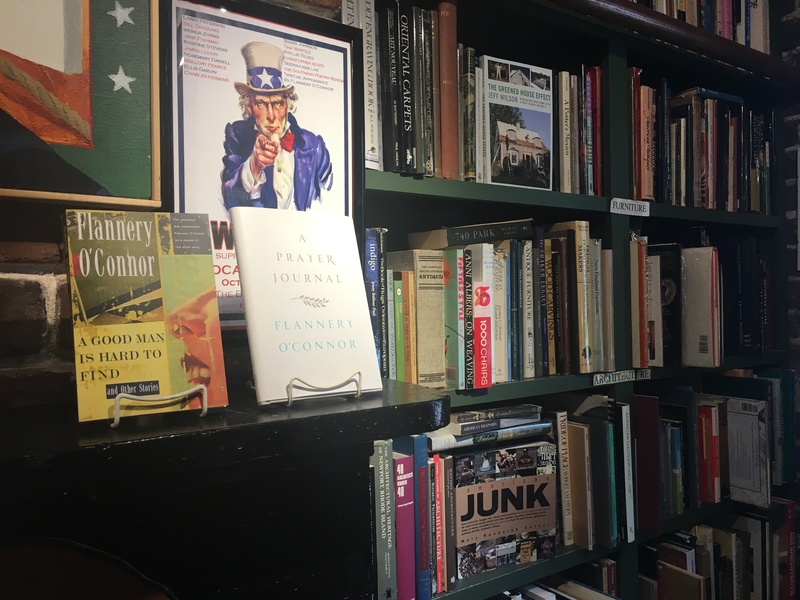 If you’re a big fan of rummaging to find that perfect book, this is a place you’ve got to check out. I enjoyed The Book Lady, but I absolutely adored E Shaver. 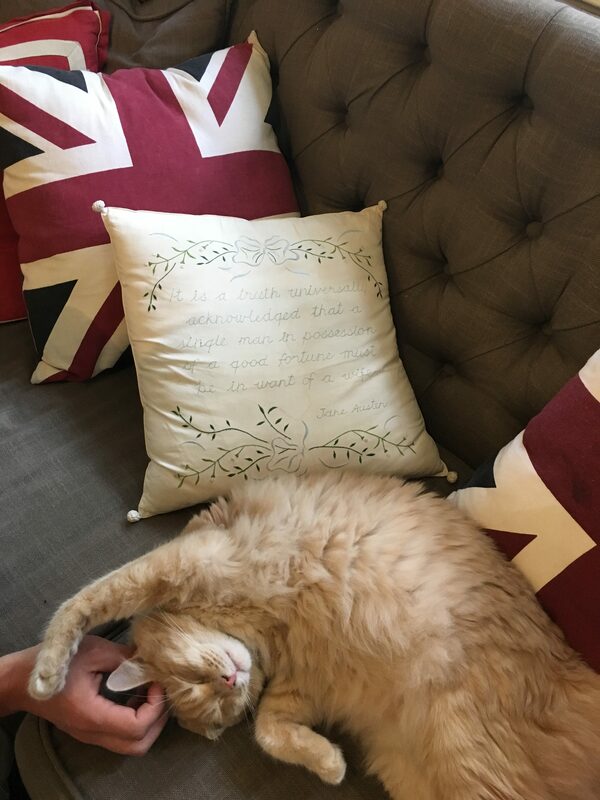 I’m sure their bookstore kitties helped with that. 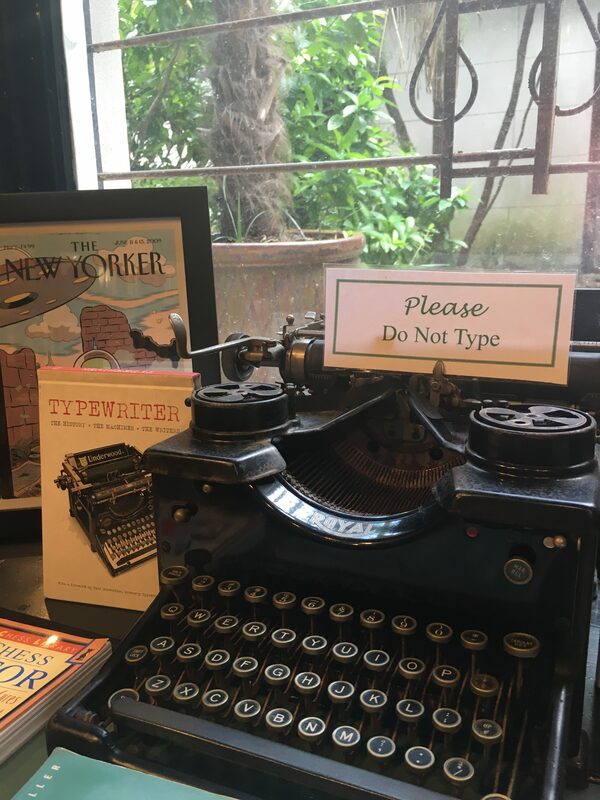 🙂 (The Book Lady does have bookstore dogs, but they were off-duty when we were there.) There were so many gorgeous covers I had never seen before for books I already own and really don’t need another copy of (#bookworm probs) and some other fun things there as well. 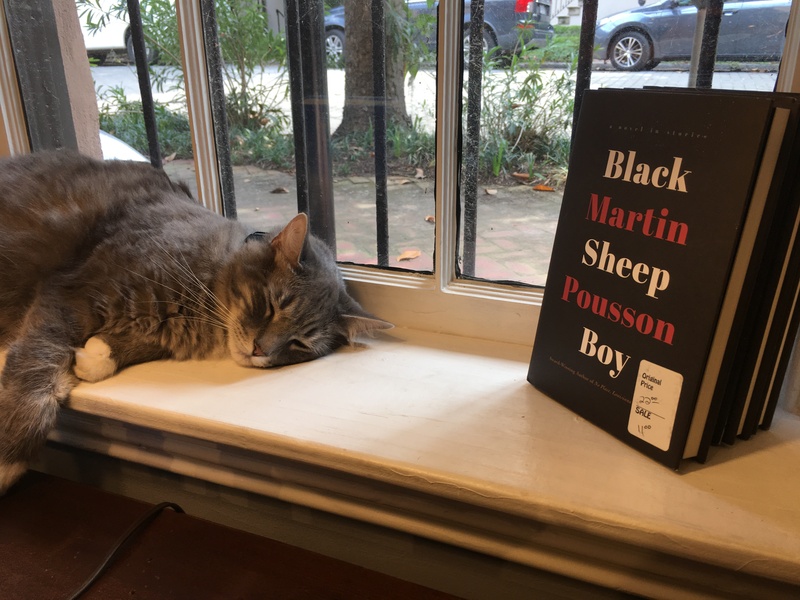 I hope to share more just a little more about my trip to Savannah in a future post, but just had to share the bookstore love! 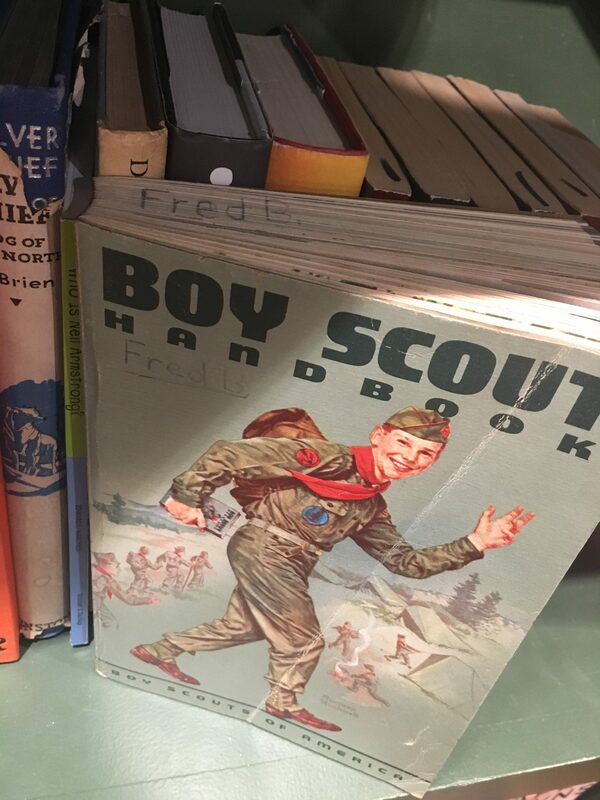 Have you ever found a gem in a used bookstore? 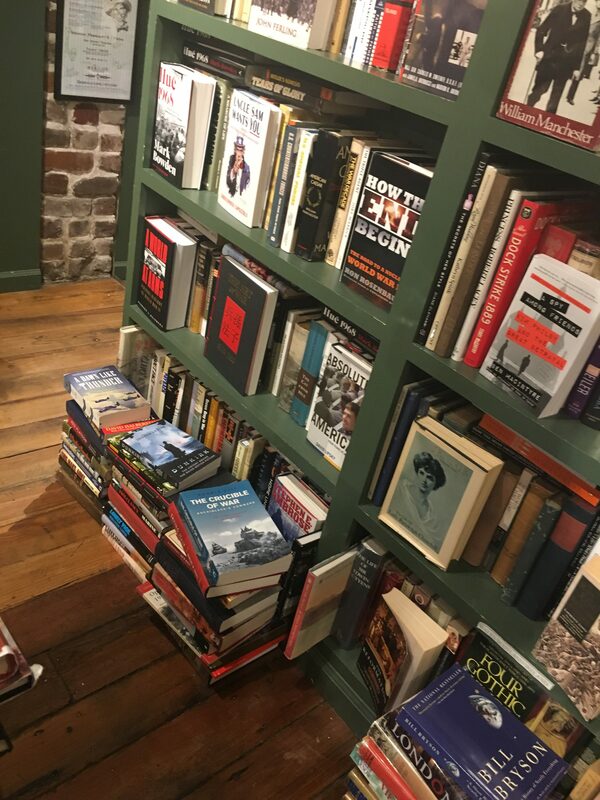 What’s your favorite indie bookstore that you’ve visited and isn’t local to you? Just from looking at your pictures, I think I would love E Shaver more. Yes I love dogs and I’m sure I would love The Book Lady if I went there, but E Shaver just looks so cozy with its couches. AND KITTIES! More bookstores need to have pets haha. It really was so cozy! I could have stayed there for hours! And the kitties!!! 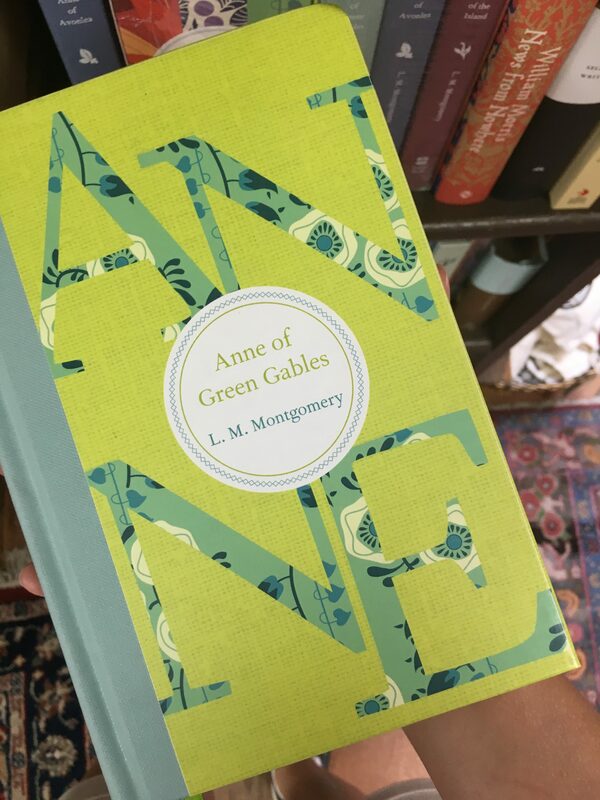 OMG that Anne of Green Gables book is so gorgeous! 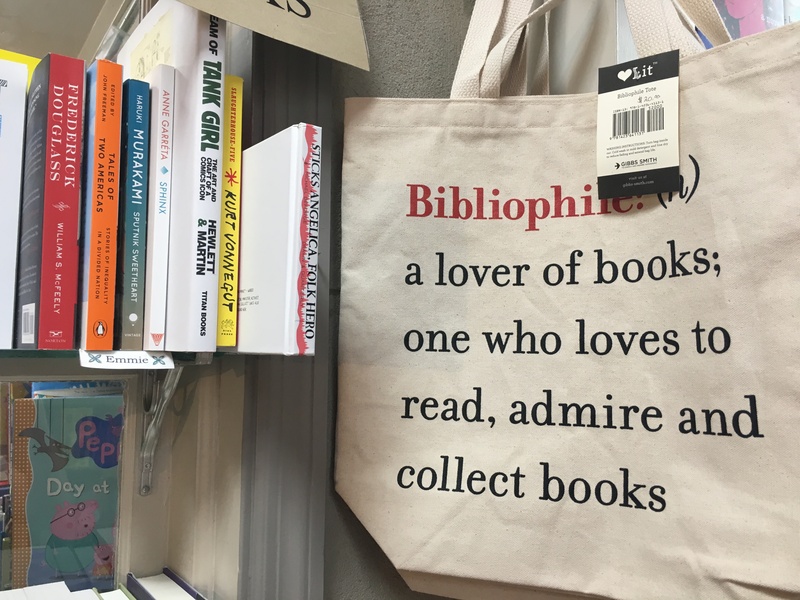 Thank you for the glimpse of these lovely bookstores! It was WAY hard to not buy that edition. There was a boxed set of the first Anne three with those style covers but it was a little pricey. There was also a used copy of Jane Eyre at The Book Lady that made me think of you!